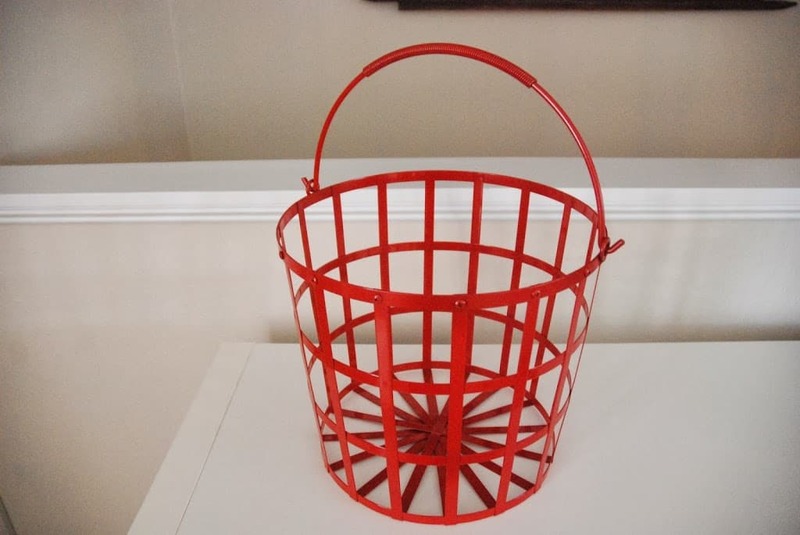 A while back I came across this red metal basket on clearance for $17.99 at Target. 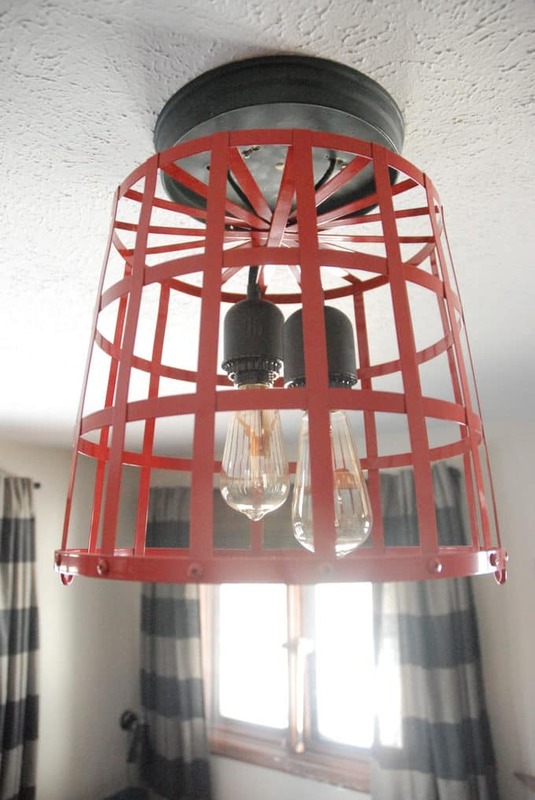 I loved the shape and the metal, and knew it would be perfect somewhere in the boys room. 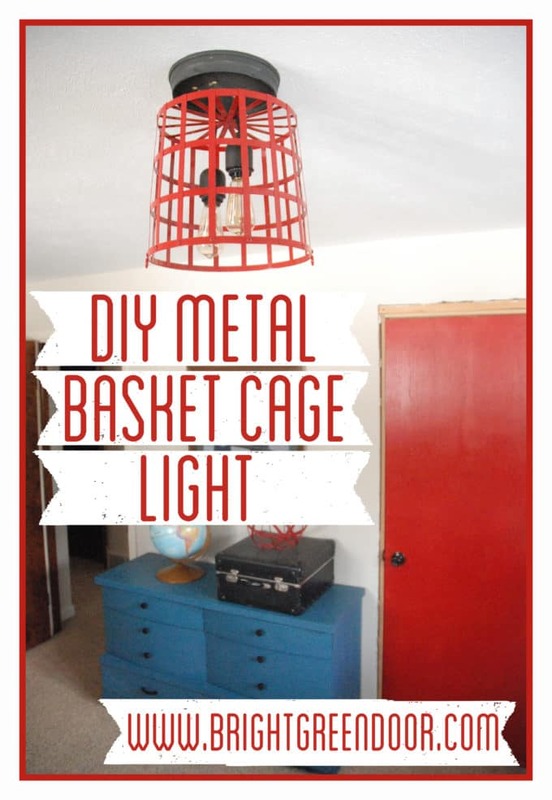 The whole idea about making it into DIY Metal Basket Cage Light came to me after it had been under-utilized storing stuffed animals for a month. 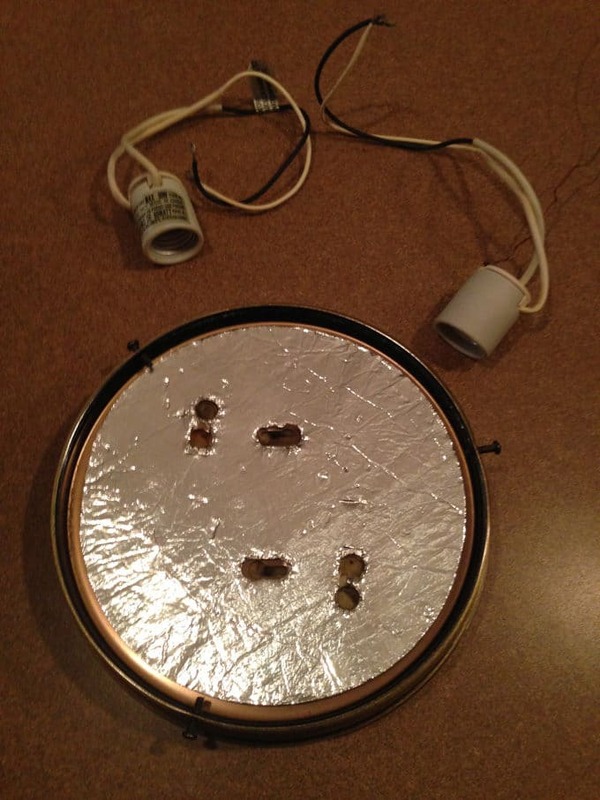 After some brainstorming I realized that I could make it into a light with all things I already had on hand! 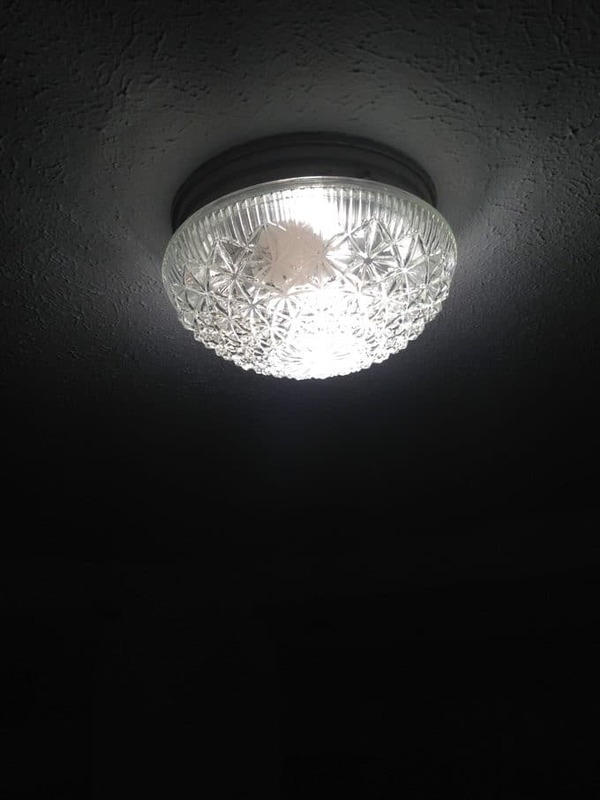 I started by turning off the power then taking down the existing light fixture. Then I disassembled it and spray painted it black. 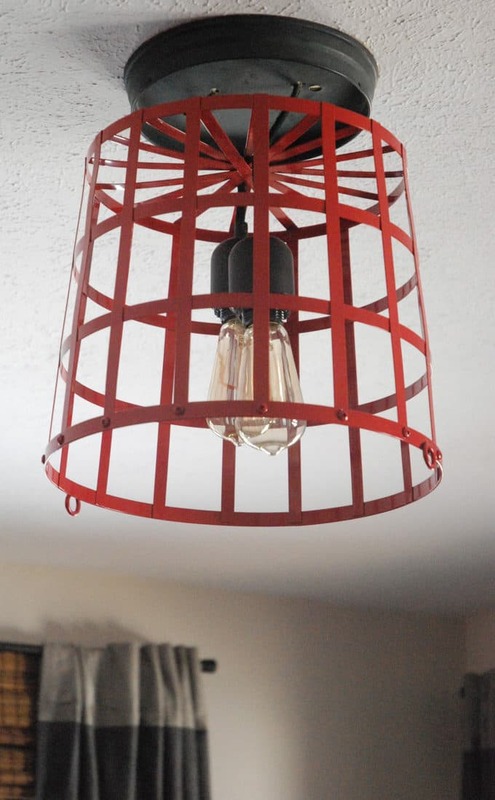 I had two of these pendant fixtures laying around from when I removed the cages from them to build our industrial kitchen pendant lights. I also had two Edison bulbs that my sister in law gave me for Christmas. 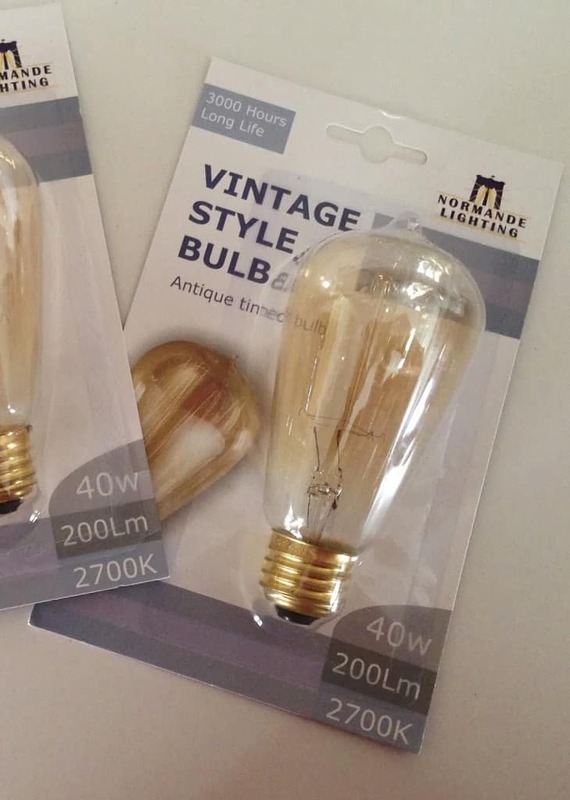 She said I was the only one she knew that would love light bulbs as a Christmas present… and I did! 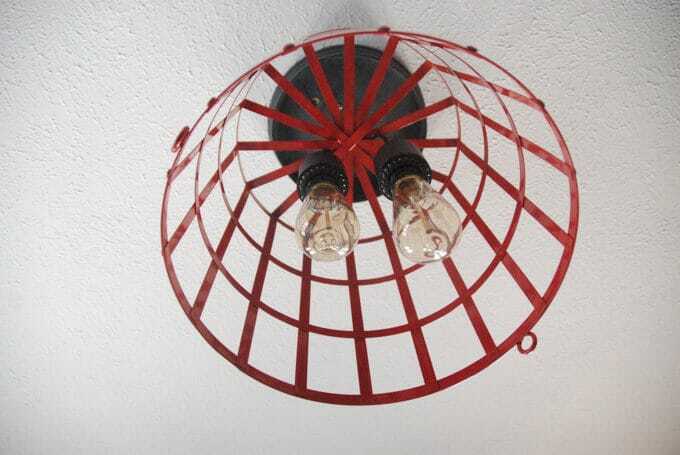 I cut the plugs off the pendant lights and stripped the wires. 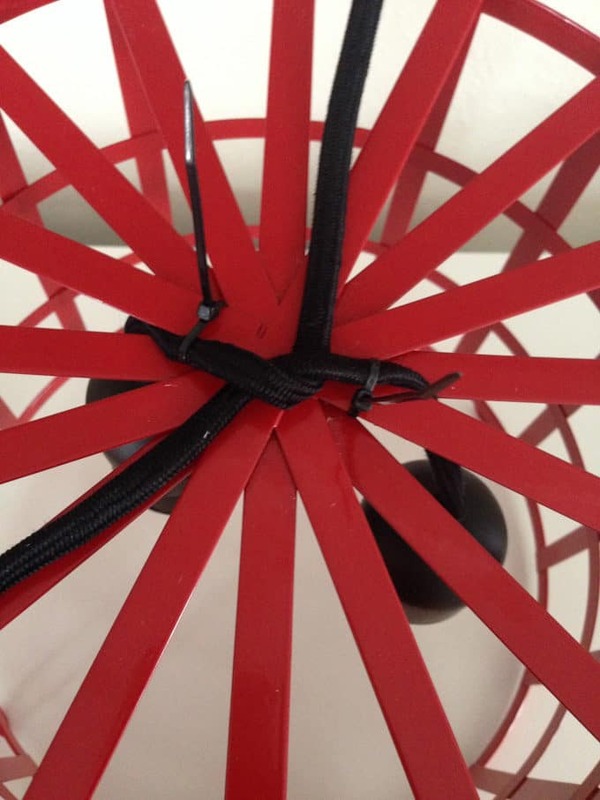 Then I zip tied those onto the basket in a way so that you couldn’t see the zip-ties. 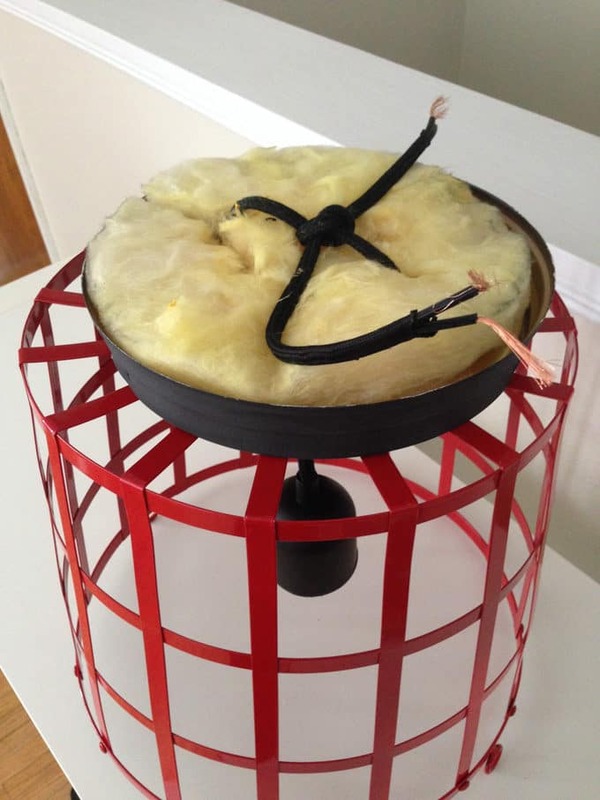 Next I just ran those two wires up through the original holes on the light fixture and tied them in another knot on top of the fixture. Because it is the same base that was originally mounted, after I wired it it slipped right in place over the mounting screws that were already in place. 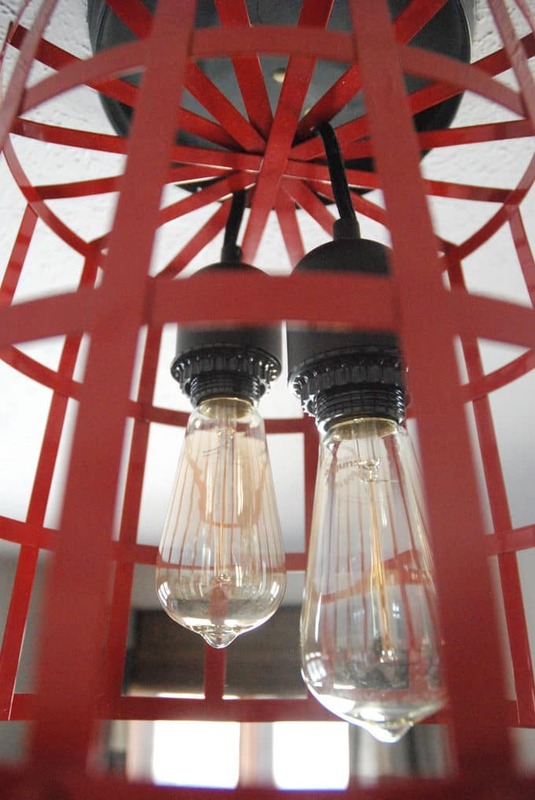 Then I just added the Edison bulbs and it was perfect! 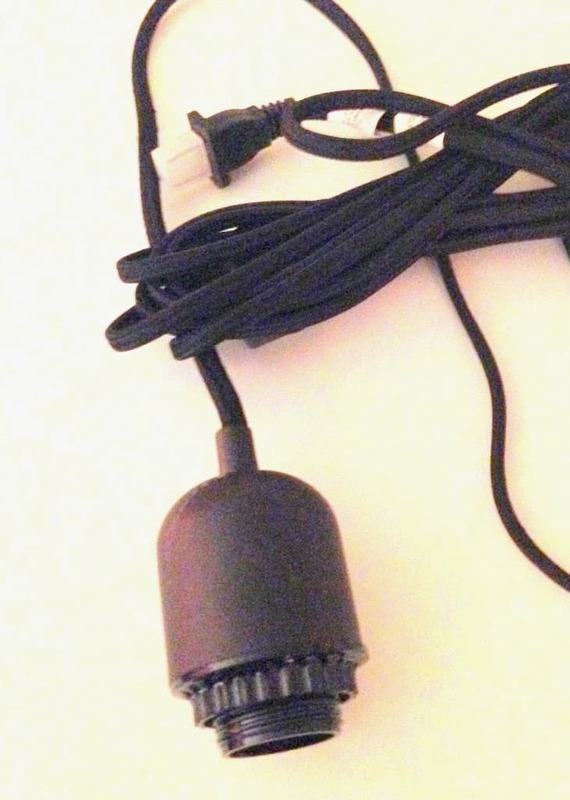 Seriously, don’t these bulbs just make the lamp? I also recently painted the boys closet door bright red, but hadn’t “revealed” it yet because the door still needs trim. 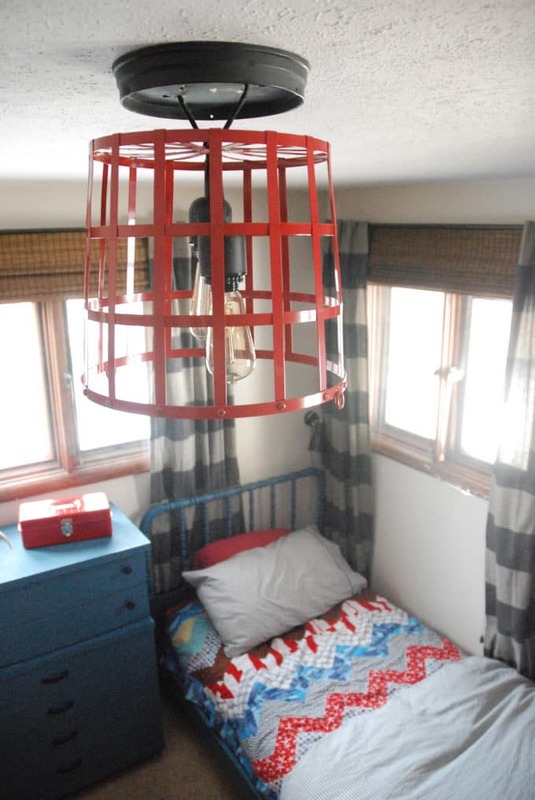 I do love how the light plays off the red door and picks up on the red in the Pirate quilts that I made the boys. Sometimes new lighting doesn’t have to be expensive! 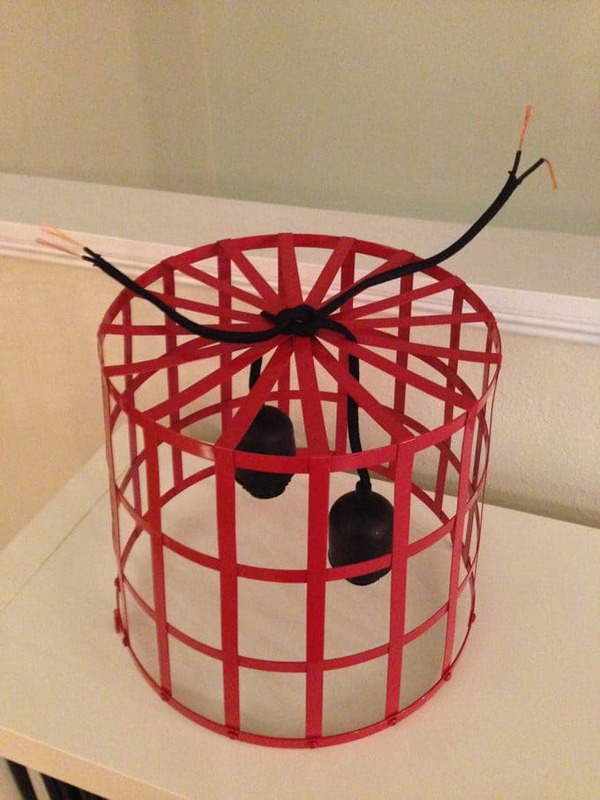 All it takes is a unique basket and a little bit of thinking outside the box (or basket)! Beautiful job, and it looks great in the boys room. Thank you so much! 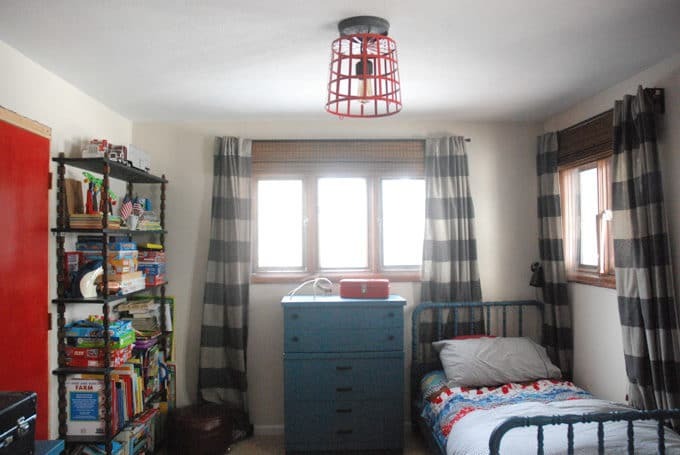 We’ve since sold this house but I still love the way their room looked!